Beyond Experience partners with exclusive vacation clubs, business corporations, and top resorts to ensure their members enjoy travel benefits that fit their lifestyle and expectations. With our fully customizable platform, we can provide you with a branded, fully integrated travel club, focused on reaching your goals. Inductive Trainings for your staff. Toll free numbers assigned with a personalized label. Monthly Newsletter including special promotions with the Look and Feel of your brand. Loyalty Program at no additional cost. Your members will see immediate redeemable benefits with our versatile B-Rewards Program. Credits granted when the membership activates. Used in an unlimited amount of travel products and combinations worldwide. Also obtained when buying Cruises and Airline Tickets. The more you purchase, the more B-Rewards you receive! Our Concierges offer your members unlimited access to experiences beyond imagination. Luxury services from hotel reservations to day-to-day activities. Our experts ensure Members' needs and expectations are always satisfied. Free up your time so you can enjoy the very best life has to offer! The platform was developed to offer gratifying user experiences that suits members' needs. We have the infrastructure to provide immediate support through different lines of communication to assist during the purchase or navigation process. With our regular updates on Beyond Experience, we have generated new tools that fit any device for easy access. 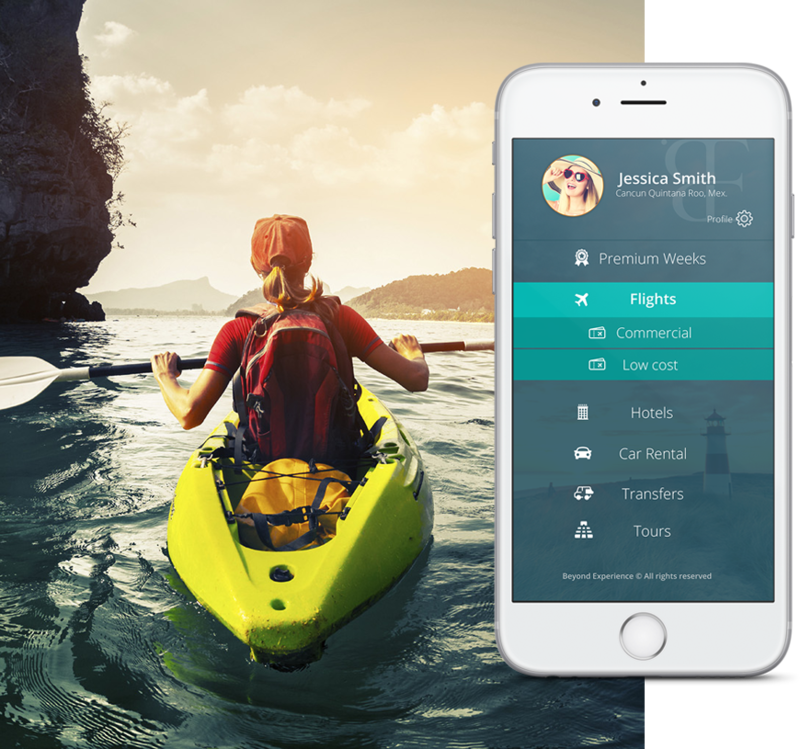 The user will have the certainty that their purchases are backed with the highest security and that they will find the best option for their next vacation.